Thank you. It’s something we say every day, but why not use a Valentine’s Day card to say it in a more memorable way? Kids can get involved too, whether it’s praising their uncle’s amazing roast dinners or thanking their granny for taking them to the park. Try our free printable Valentine’s Day cards in Kids’ Corner. If you feel that actions speak louder than words, chat with your kids about the things they can do to help other people. They could help make dinner, take the bins out for an elderly neighbour or go out litter picking in the community. They could even give vouchers for these actions that people can redeem throughout the year. Find free printable vouchers in Kids’ Corner. Is there anything nicer than getting a call from a loved one? Why not get your kids to choose someone to call and wish them well on Valentine’s Day? Alternatively, think about how you can give yourself and your smartphone a rest so that you can really give someone your complete attention and be present in the moment. Sometimes it’s the little things in life that can make a real positive difference to another person. It’s why random acts of kindness (RAOK), such as letting someone in front of you in a queue, helping someone with a heavy suitcase at a busy train station or paying for your coffee and the next person’s, has become such a phenomenon. 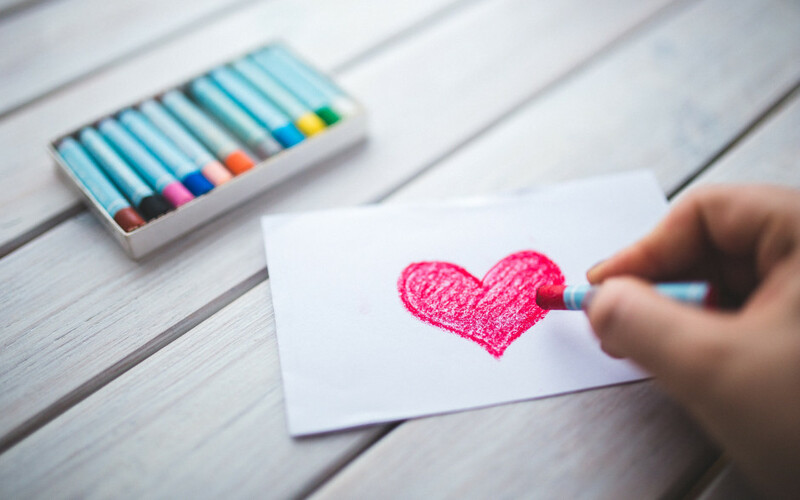 Use Valentine’s Day as a focal point to inspire your kids to be more thoughtful every day, from giving away their last sweet to letting an elderly person take their seat. Ramp up the feel-good-factor by hosting an afternoon tea party to bring everyone together. Get in the spirit by decorating biscuits and deck your home out with bunting. It doesn’t just have to be friends and family, consider inviting an elderly neighbour to brighten their day. There’s free printable bunting available in Kids’ Corner. Check out our range of free printable themed cards, vouchers and festive bunting to help you with Valentine’s day celebrations in Kids’ Corner . It’s full of free colouring-in printables, activity sheets, scrapbooking ideas and customisable celebration cards. Love making things but worry about escalating ink costs? You can relax with EcoTank as you receive loads of ink upfront with the printer. Using an EcoTank could save you 90% on ink costs on average 1. Additional ink bottles are affordable too. Find out more about EcoTank printers here. 1. Average number of cartridges required/savings achieved printing the same number of pages using the ink bottles included within the EcoTank range, excluding hardware price. Comparison made on the average of the A4 EcoTank range versus the average of the top 10 best-selling models in Western Europe, in the period January 2017– December 2017, as tracked by GfK. Printing costs calculated on the proportion of Standard and XL cartridges as tracked by GfK for the same reference period for the Western European market, using average retail prices. Ink cartridge yields as communicated by the manufacturer’s websites.